One of the best networks of hiking trails in Europe is spread across the island of Andros in Greece. A vast ancient network of paths that linked the settlements, with places of worship and the ports of the island. In the middle of the 20th century, their use is limited by the appearance of the car and replaced in many cases by roads. Today, Andros continues to have one of the most extensive networks of hiking trails in Europe. The paths in Andros are estimated to exceed 300 km in length, and approximately 150 km are accessible for hiking. The abundance of water, the mountains, the intense geographical relief and the incredibly varied landscape, make it a truly unique island of the Cyclades. You encounter scattered little forests, valleys, beaches, canyons, waterfalls and springs almost everywhere. The human presence has left its mark, shaping a handmade landscape with stone as the main material. 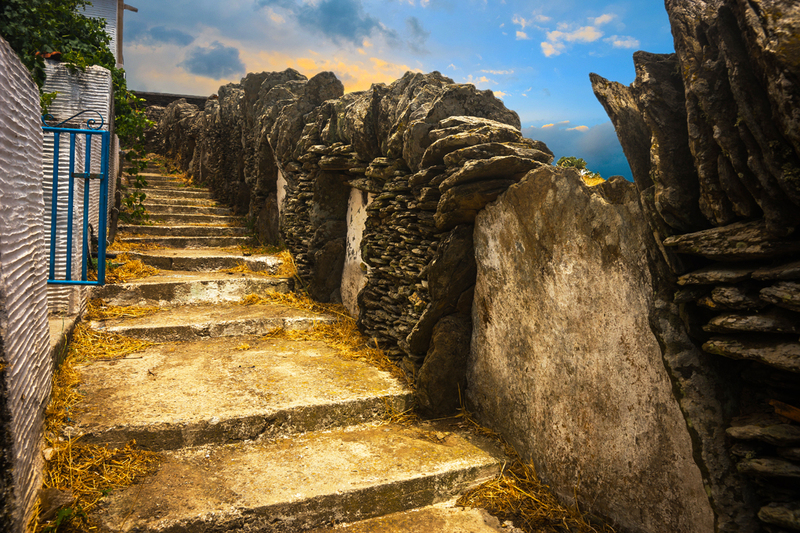 Walking through the hiking trails of Andros is the opportunity to record pictures of the stone agricultural architecture and the threshing floors. Meet some of the 269 recorded watermills and windmills, arched bridges and hundreds of chapels all over the island. 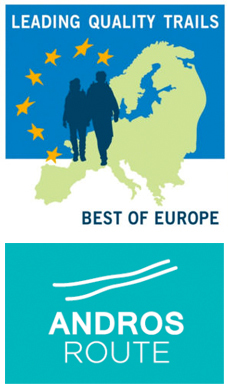 The continuous trail of 100 kilometres “Andros Route”, a section of 100 kilometres of the hiking trails of Andros, was awarded the “European Leading Quality Trails – Best of Europe” in October 2015. The European Ramblers Association granted the certification that makes that network one of the best Hiking trails in Europe and Andros Island top hiking destinations in Europe. The hiking trails are maintained with the care of Andros Routes. An initiative of people to rescue and promote them. Andros Routes is an effort that combines research and actions on the environment, culture and sustainable tourism in Andros. The whole project is mainly based on the voluntary work of researchers and members. It is also based on the support of individuals, volunteers and organisations from around the world. The primary objective is to record, preserve and highlight the old hiking trails and record oral history.